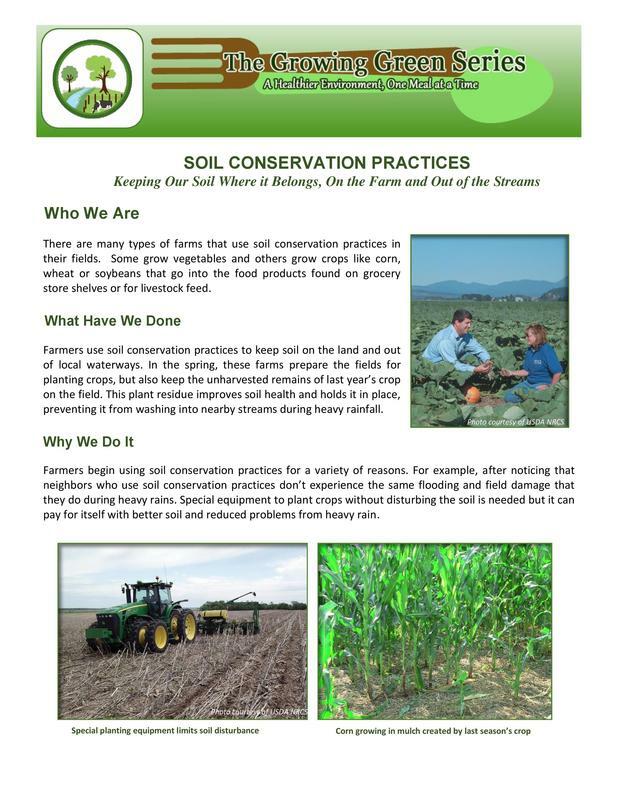 Less than 2% of the U.S. population is involved in farming, so very few people know about the efforts farmers make to protect our community's natural resources. 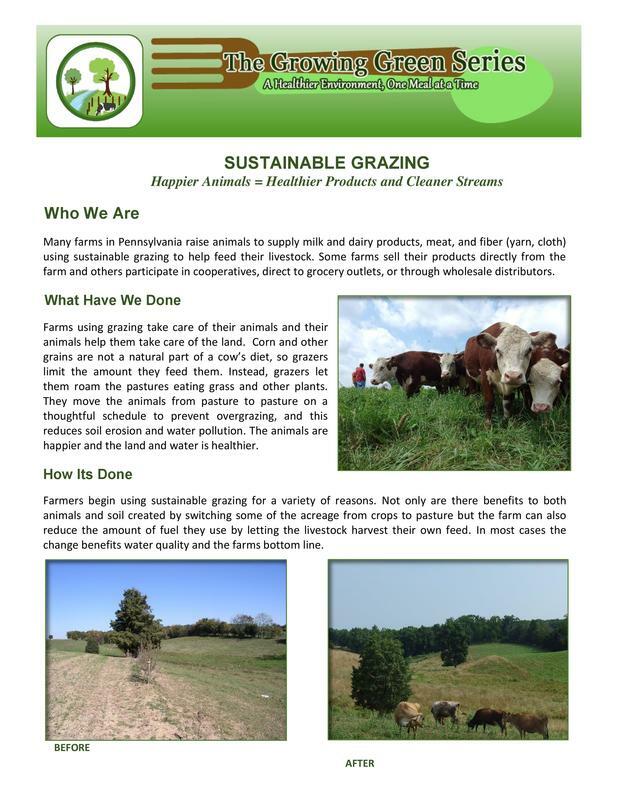 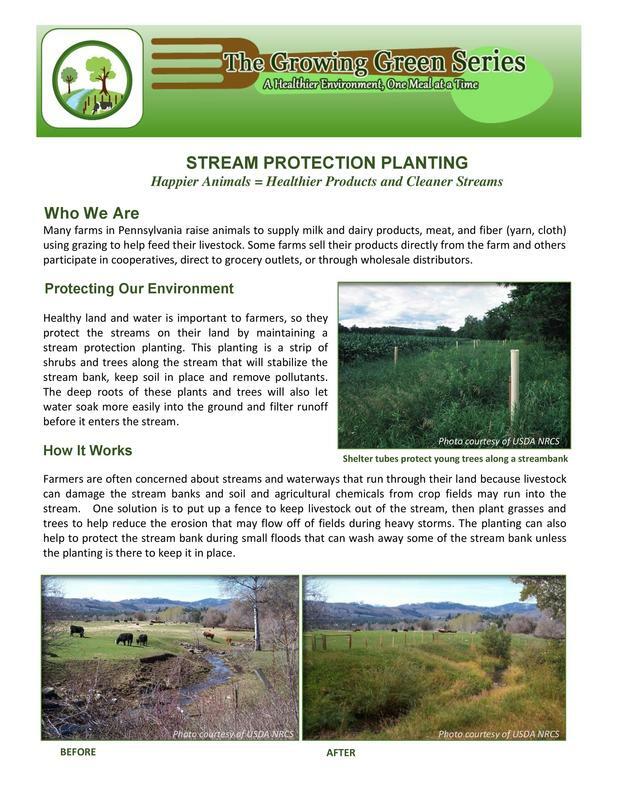 The Growing Green Series is intended to provide farmers with simple and easy to understand informational flyers about some of these farming practices that can be shared with neighbors and customers. 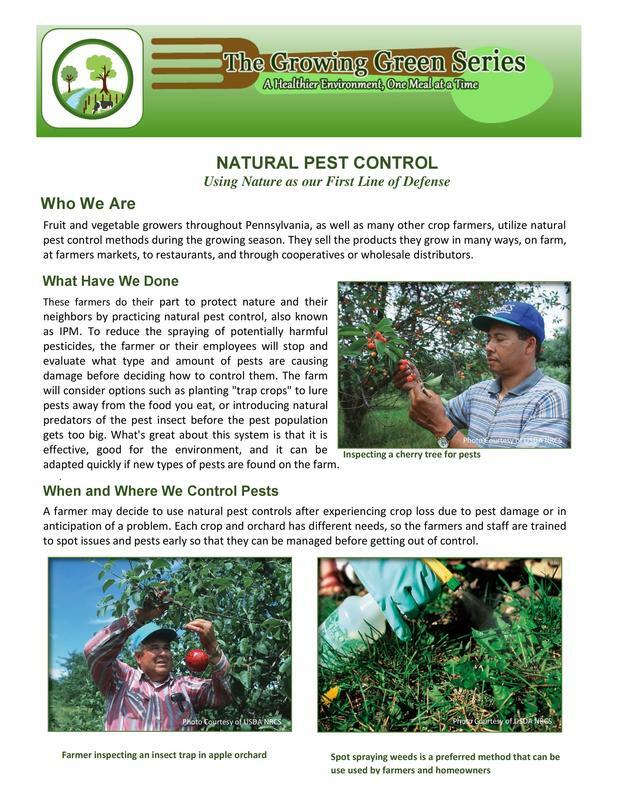 The flyers have been reviewed by a "test panel" of folks who do not have a farming background; they helped to guide the choice of wording to create easy to understand and engaging information about these practices for a non-farm audience. 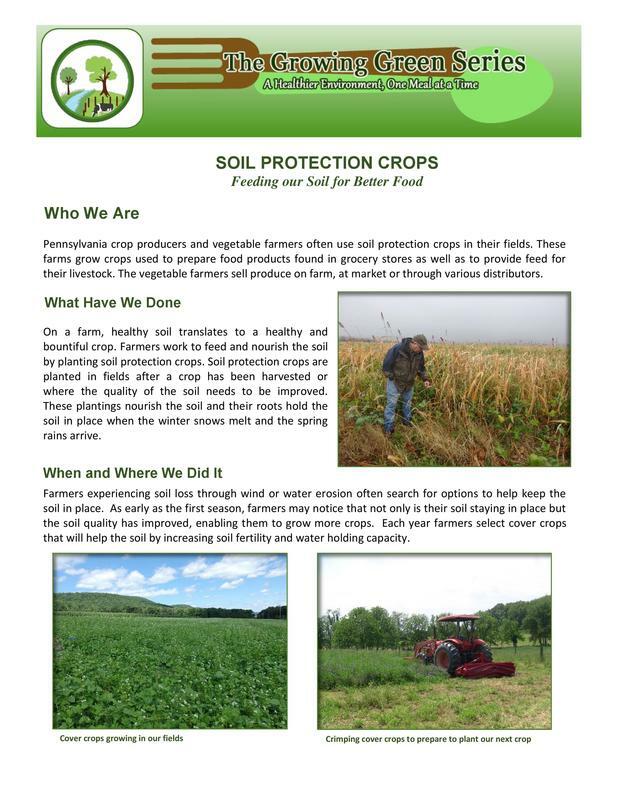 We at Capital RC&D feel that it is very important for the non-farm community to understand that farmers like you are doing their part to protect our shared natural resources.